Tension continues to mount within the beleaguered MDC here, as Masvingo Mayor Councillor Collins Maboke yesterday vowed to continue with his duties at Town House despite being ordered to step down by party leader Mr Nelson Chamisa. Mr Chamisa met members of his party's provincial executive at the weekend at a tension-filled meeting at Mucheke Hall where he gave Cllr Maboke a one-week ultimatum to relinquish his mayoral post or face the boot. Cllr Maboke, who was voted city mayor after winning Ward 2 on an MDC-Alliance ticket in last year's harmonised elections, has been living on borrowed time after Mr Chamisa sometime late last year ordered him to step down from the post. Cllr Maboke, an advocate by profession, is being accused of conniving with Zanu-PF to ensure the ruling party Ward 6 Cllr Wellington Mahwende was voted deputy mayor, despite Zanu-PF controlling only three wards of the local authority's 10. The MDC leadership wants Cllr Maboke to pave way for Ward 4 Cllr Godfrey Kurauone. Mr Chamisa's ultimatum came after the onslaught against Cllr Maboke appeared to have fizzled out. Mr Chamisa insisted that the MDC Alliance has rules that should be followed by all party members, including Cllr Maboke, pointing out that he should heed the party's call to step down or risk summary expulsion from MDC. Cllr Maboke yesterday said he was not bound by an announcement made by Mr Chamisa in his absence and vowed to continue with his mayoral duties. He said he will only respond to Mr Chamisa's threat if he receives communication in writing. "I was away on the day in question (last Saturday) attending a family bereavement after my brother passed on," he said. "I cannot be bound by an announcement made in public, moreso when I was not even present at the said meeting. "The party has official channels of communicating and I am yet to receive anything, so as of now I am continuing with my mayoral duties. In the event I receive official communication I will then make available my response. "Right now I am coming from a meeting that had been scheduled with the Minister (of Local Government, Public Works and National Housing July Moyo), who unfortunately was not available as he was attending to challenges associated with Cyclone Idai in Manicaland." It is believed any knee-jerk decision by Mr Chamisa to fire Cllr Maboke would boomerang on the MDC leader as the Ward 2 councillor enjoys strong support and will likely retain the ward as an independent candidate in the event of a by-election. Mr Chamisa's visit to Masvingo also reportedly muddied his party's political waters, amid worsening divisions and fresh turmoil blamed on the MDC leader after he appeared to roundly condemn the incumbent provincial executive led by Mr James Gumbi in favour of another faction led by Mr Tongai Matutu, a former Masvingo Urban legislator. 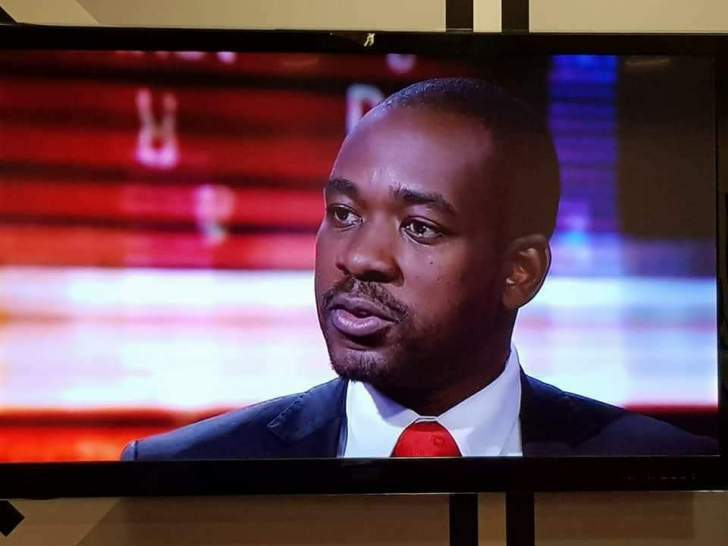 Analysts said Mr Chamisa's move will further stoke tension and tear the party along factional lines as the MDC's potentially explosive national congress looms.